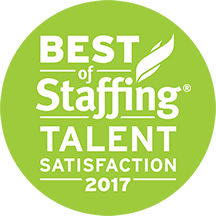 Express Employment Professionals is one of the top staffing companies in the U.S. and Canada. Every day, we help people find jobs and provide workforce solutions to businesses. Express Employment Professionals of Northeast Sacramento provides a full range of employment solutions that include full-time, temporary, and part-time employment in a wide range of positions including Professional, Light Industrial, and Office Services. We service the Northeast Sacramento area including Arden, Carmichael, Rosemont, Mather and Rancho Cordova.